Join the discussion on our forums! Come discuss Bilefin Tidehunter over in our dedicated Bilefin Tidehunter discussion topic. Great card for Battlecry Shaman decks. 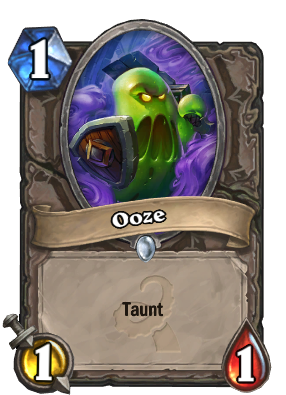 He's a cheap activator for Rumbling Elemental, is pretty powerful with Brann, and helps swarm the board for Bloodlust. Auto include in every aggro deck, im sure. I bet it will be very good. 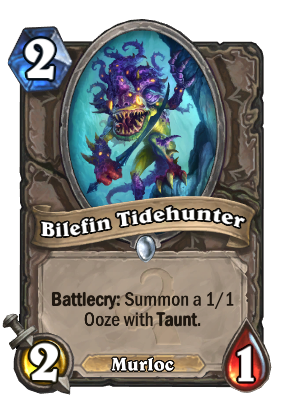 With the taunt upside over the other murloc, it can kill a 2-3 or a 3-2 with the upside of having a 1-1 with taunt, more often. power creep to tidehunter? or nerf? What's better, being part of the murloc tribe or having taunt? kinda like comparing apples and oranges i guess. Bile fin tidehunter? Obviously a corrupted Murloc? Why isn't he a Murloc!!! Murloc Knight indirect nerf but a kinda trippy card, gets me just for the art alone. On the other hand, it protects your stronger murloc. Normally the enemy would just trade for your 2/1 and leave your 1/1. Now you keep your 2/1 and lose your 1/1 instead. You can also run 2 of both in your deck. 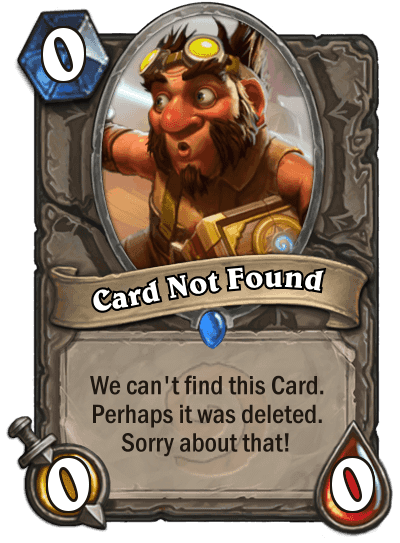 It's a decent replacement for Puddlestomper, as you generally want to token spam and spread when playing a murloc deck.